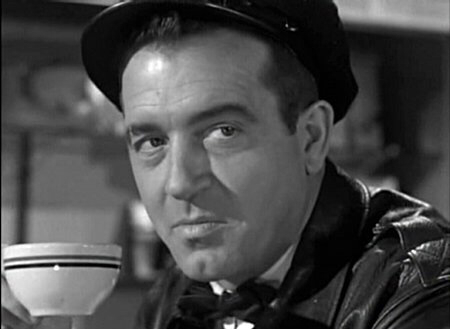 Proving once again that he was an actor who perfectly fit the mold of the Noir leading man, John Payne, stars as an ex-boxer in a dead end marriage doing his best to scrape together enough money to stay afloat as a cab driver. Little does he know that he’s about to find himself entrenched in a murder hunt where he’s the number one suspect and on the run from local police authorities. The murder victim? His estranged wife. His only way out? Catch the real killer himself. In a marvelous opening, Payne is in the square ring fighting for the Heavyweight Championship and on the cusp of winning the title until a late rally leaves him on the losing end of the fight. Setting the tone in a smart twist, the camera pulls back to see “has been” fighter Payne watching himself on TV as the fight is being replayed for television viewers, billed as one of the great fights of the past. 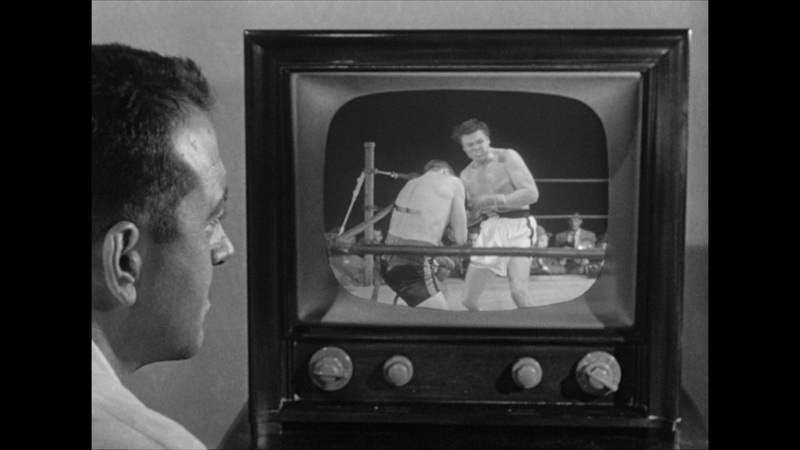 No different than sports stations do nowadays when treating us to Ali Vs. Frazier. It’s here we’ll see that Payne and wife Peggie Castle are at odds. In her eyes she’s married to a three time loser having wasted the best years of her life on someone who had potential to make her, a former showgirl a star as well. Two other characters turn up shortly thereafter. 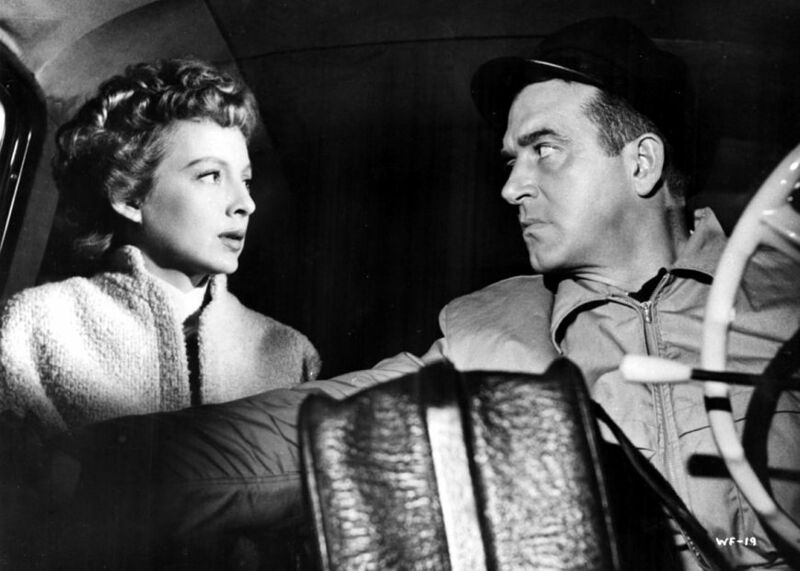 While Payne is grabbing a coffee in his usual diner, Evelyn Keyes turns up as a casual acquaintance hoping to land a job in a play on Broadway. The other is Brad Dexter as a shady gangster who has taken up with Peggie behind Payne’s back. She’s betting on another horse who just pulled off a jewelry heist. The problem is that Dexter hit someone a little too hard during the crime and killed him. This puts him on the outs with the fence, Jay Adler, who doesn’t like killings and dames even less when it comes to business. Short of a 50K payoff this puts Dexter in a tough spot and even more so when Payne sees his wife locking lips with Dexter after dropping a fare. A perfect set up for a murder charge is in the air when Payne blows his cool in front of fellow cabbie Frank Faylen and Dexter needing to get rid of Castle who knows he’s guilty of a murder rap. And so the fun begins when Payne and Keyes who becomes an integral part of the plot discover the corpse of Castle in the backseat of Payne’s cab. I should point out that the camera shot of Castle hanging from the car is a great one as are many of the other scenes caught by director Phil Karlson. 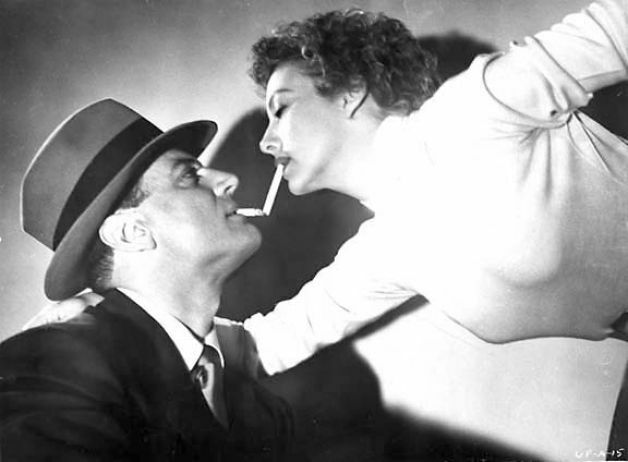 These include the opening boxing clip and another that stands out, a shot of Keyes attempting to light her cigarette as it dangles from her mouth leaning over Dexter. Ahhhh, the joys of Noir. Street smart and hardened by life’s left hooks, Payne is going to have stay one step ahead of the cops if he’s going to make the final reel standing. Like a fighter, Payne just won’t stay down and the film has a heck of a finale waiting for us. 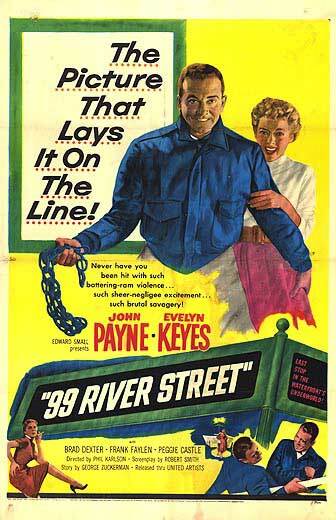 It’s a fine Noir with Payne playing tough and getting his fare share of knocks as well. Then of course there’s the sexual quotient the genre is expected to deliver firmly on display. 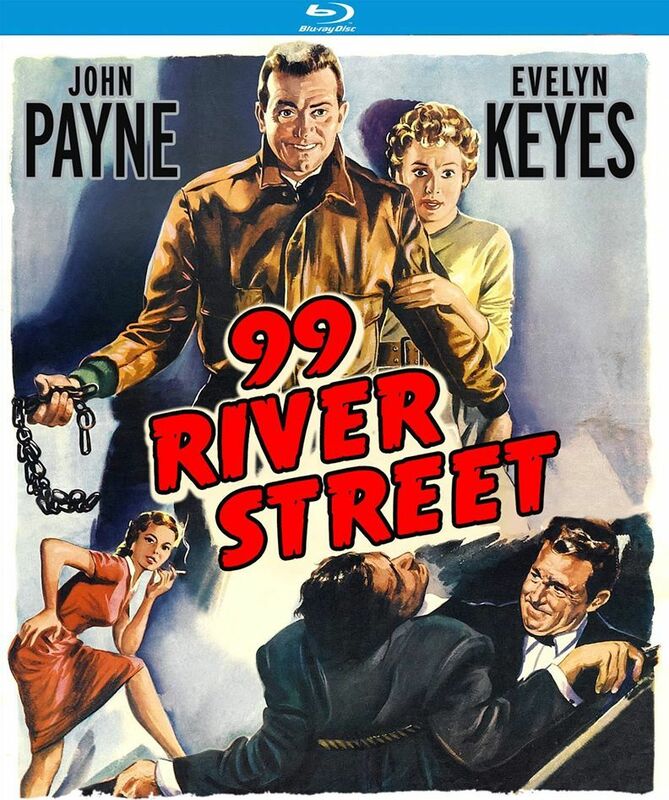 99 River Street represents the final film in a John Payne trifecta released by Kino Lorber recently on blu ray that I’ve purchased and featured here at Mike’s Take. Two of the three I would whole heartedly recommend. This one and The Crooked Way while Hidden Fear I found passable but not up to the excitement level of the other two Noirs. Payne and director Karlson had just teamed for Kansas City Confidential prior to this follow up and that film is probably Payne’s best known Noir entry. And for good reason I should add. Do yourself a favor and grab a cab down to 99 River Street. Ha, I’m posting a review for this on Saturday! I love this one…everything you say I totally agree with, and believe it or not, I even own the Blu-ray! Like you said, Karlson did a lot of cool things with the camera, and Payne was just way cool in this role (I loved the scene where he beat the hell out of Jack Lambert). And Peggy Castle: deeeelish! Yeah it got good and violent there in a couple fight scenes. I’ll look forward to your posting. Great minds….. and look at you springing for the blu. Keep that up and you’ll have a room like mine that you can get lost in. One of my favourites. Will take your advice and grab a cab down there – need to watch it yet again. Love the scene in the theatre when Payne is completely taken in by Keyes. Evelyn plays that perfectly with a Norma Desmond like approach. It’s a performance within a performance. Well Done. Incidentally I have a few boxing flicks coming up. I knew him as a kid but brushed him off cause Mom liked him and his name sounded a little too close to one of my heroes. But age and a fellow blogger woke me up to him. Great Noir entries and Kansas City has a trio of baddies any film would beg for, Brand, Jack Elam and Lee Van Cleef! Enjoy. I’ll look forward to the fight flicks. Haha my Mum was obsessed with Howard Keel, hence I was brought up on Calamity Jane and Seven Brides for Seven Brothers. Keep that hush hush. lol. And Payne actually started as a pretty boy in musicals too! Most famous film would be the original Miracle on 34th Street.My Mom too was a fan of Seven Brides…… all I wanted to watch was Audie Murphy westerns and Tarzan flicks on Sunday afternoons. The violence is explosive between him and the thug for the diamond fence. Nice and gritty. Glad you liked it.